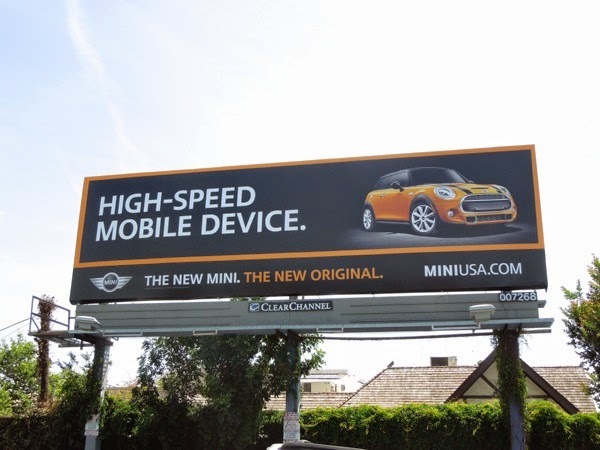 Britain, the Swinging Sixties, The Italian Job movie(s) and small cars, that's what comes to mind when you think of the MINI Cooper, but it looks like current owner BMW wants you to think of the iconic auto in a new way. 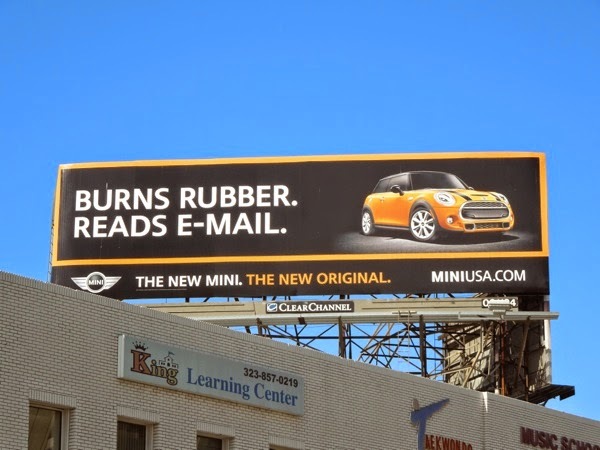 The new eye-catching ad campaign from Butler, Shine, Stern & Partners highlights the sporty car's speed, safety, affordability and new technology capabilities in a witty and stylish way (although reading your emails whilst zipping around the city streets, probably isn't the safest thing to do). 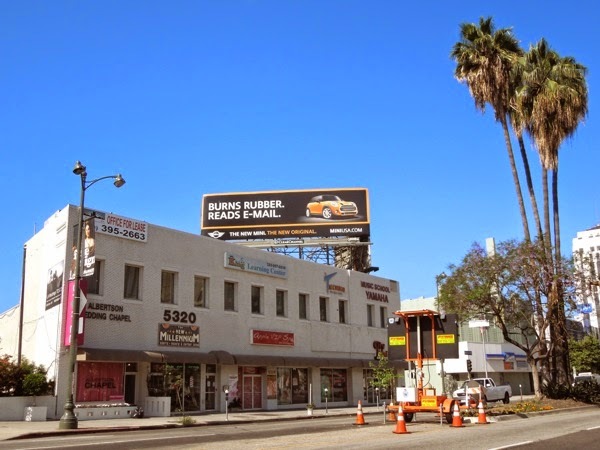 When Daily Billboard first moved to America over six years ago, big cars were still all the rage and more than a little unsettling on the crowded L.A. freeways. Then the world recession happened and everyone began to worry about the fuel efficiency and cost of running their motor, and over time, more and more smaller cars have started to appear around the sprawling city. 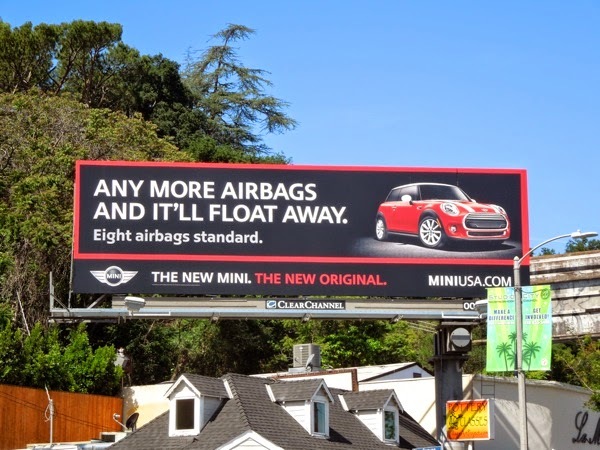 With mounting competition from the likes of the compact Fiat 500, these billboards continue to prove that even though the MINI is a little car, it certainly has a lot of character. 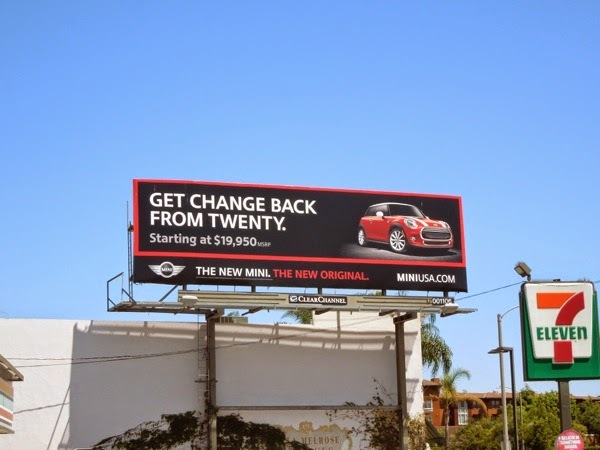 These vibrant and humorous ads for The New MINI were spied along La Brea Avenue at Sunset Boulevard on April 23, plus along Wilshire Boulevard, 3rd Street and Ventura Boulevard in Studio City on April 27, 2014. 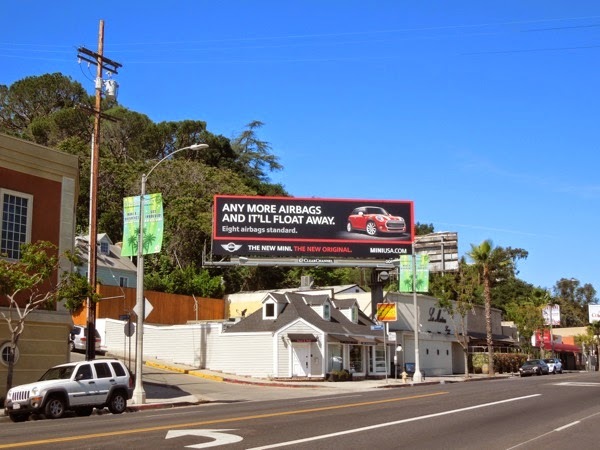 If you like this outdoor ad campaign, be sure to check out these other car billboards from around the skies of Los Angeles. 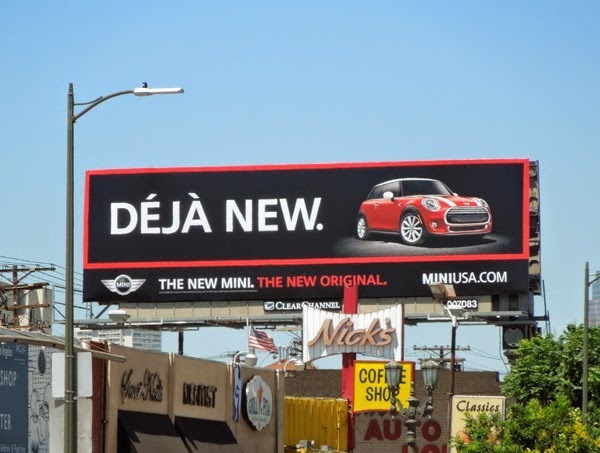 UPDATED: Hmmm, we've seen this ad campaign before, as just like déjà vu Daily Billboard spied this red MINI ad creative along Pico Boulevard on July 23, 2014. The "get change back from twenty" is false advertising. 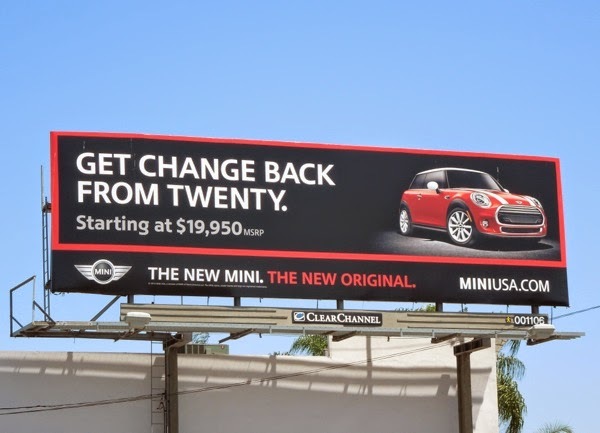 You can't buy that car with tax+destination fees for under $20k.